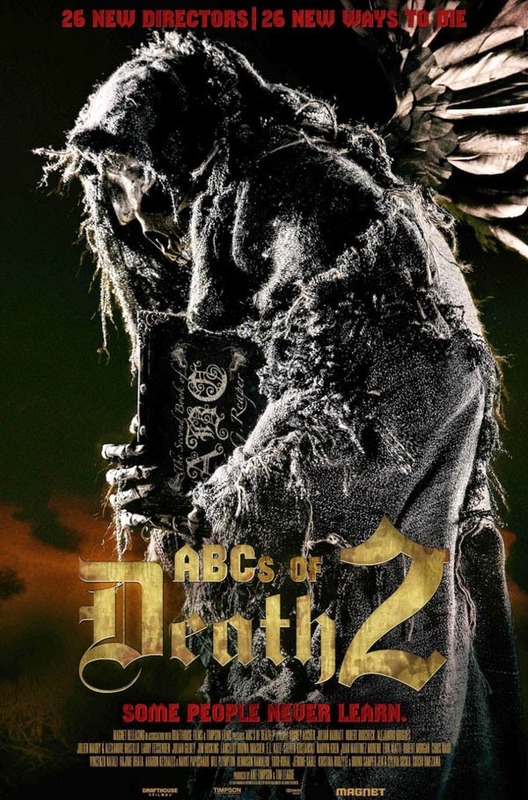 Magnolia Pictures and Magnet Releasing just put out a bloody good new Red Band Trailer for "The ABCs of Death 2" and we dare you to watch. The film is a follow-up to the 2012 anthology film that featured 26 directors creatively displaying 26 ways to die. This one is tackling the same ambitious task "with productions spanning from Nigeria to UK to Brazil and everywhere in between." It features segments directed by over two dozen of the world's leading talents in contemporary genre film. The film is comprised of twenty-six individual chapters, each helmed by a different director assigned a letter of the alphabet. The directors were then given free rein in choosing a word to create a story involving death. Provocative, shocking, funny and at times confrontational, ABC’s OF DEATH 2 is another global celebration of next generation genre film making. After the jump, check out the list of directors and the NSFW Red Band Trailer. It contains language and tons of gore so be warned. The film is available on iTunes and On Demand on October 2 and in theaters, October 31.